If you believed it was difficult to play the guitar, you should meet 33 year old Martin Molin. He is Wintergatan’s lead musician from Sweden who has created a new instrument whose complexity is out of this world! He refers to it as Wintergatan’s Marble Machine. 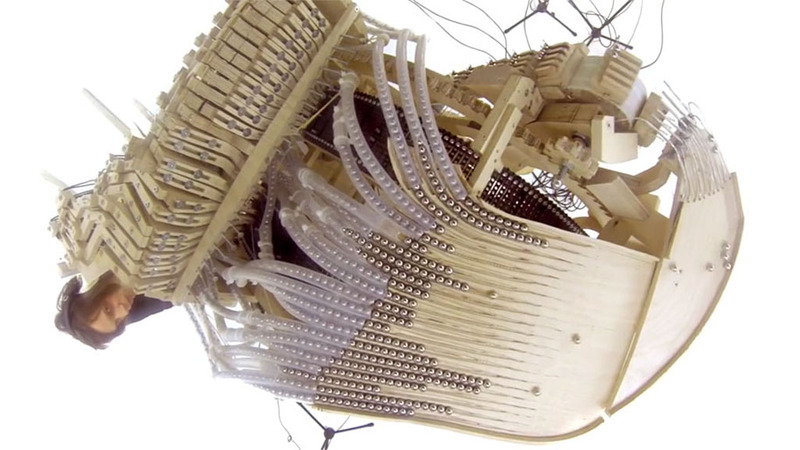 This extraordinary musical instrument is totally analog. It obtains power from a hand crank which is operated manually. The sound stems from 2,000 metal marbles which pass via the instrument. Sadly, the machine which took a couple of years to create will be disassembled soon. But, the artist vows he will form a small edition of the Marble Machine for live events.